The Town Clerk serves as a recording officer and custodian of vital statistics and valuable municipal records. Among other duties, the Town Clerk records and certifies all votes passed at Town Meeting, administers and records oaths of office to town officials and records various instruments as required by law. The Town Clerk also issues certificates and licenses, prepares street and voting lists and supervises all elections. The Town Clerk also serves as the Parking Clerk, accepting payments for parking citations within the Town of Hamilton. The following licenses, permits and services are available at the Office of the Town Clerk. Business Certificates (Doing Business As) must be file by unicorporated business located in Hamilton that are conducting business under a name other than one’s own. The fee for a Business Certificate is $25. and is valid for four years. The following by-laws are sold by the Town Clerk’s office: Zoning By-Laws with maps – $20. ; Subdivision Rules and Regulation – $5. ; Town By-Laws – $5. These publications can also be downloaded from the town website. Certified copies of Birth, Death and Marriage records are available for $10. All dogs six month of age and older must be licensed. Evidence of a current rabies vaccination must be provided by the owner. Intact males and females $20. ; Neutered males and spayed females $15. ; owners over 70 first dog no charge. The license is good from April 1st. through March 31st., and June 1st the late fines start. Street lists are available for $15.00. How Do I Obtain Certified Copies? When Do I need a Dog License and How Much Do They Cost? All dogs six month of age and older must be licensed. Evidence of a current rabies vaccination must be provided. Males and Females $20. ; Neutered Males and Spayed Females $15. ; owners over 70 first dog no charge. the license is good from April 1st. through March 31st., and June 1st the late fines start. The Hamilton Town Clerk’s Office issues certified copies of the records of birth of any person whose birth occurred within the Town of Hamilton and for any resident whose parents resided in the Town of Hamilton at the time of birth. If you are not certain if the birth certificate is filed here, call the office for confirmation at 978-468-5570 X3 before ordering, as refunds could take up to 4 weeks. 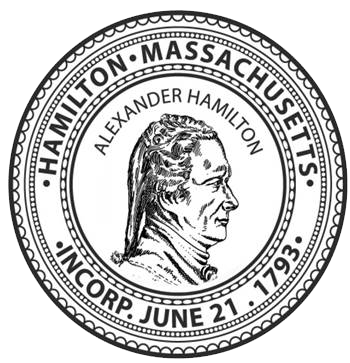 The Hamilton Town Clerk’s Office issues certified copies of the records of death of any person whose death occurred within the Town of Hamilton and for any Hamilton resident who passed away in any other Massachusetts community. If you are not certain whether a death certificate was filed here, call the office for confirmation at 978-468-5570 X3 before ordering, as refunds could take up to 4 weeks to process.